Not only has Apple gone after the HTC Android but they could potentialy go after other Androids with a similar operating system. So is this Apple’s warning to other Android devices with a similar software? Well, here’s the downside for HTC Android users: If all goes as planned the HTC Android will be officially banned from the US in April 2012. For those of you worried that your device is on the ban list here’s a run-down of what’s banned: Droid Incredible, Evo 4G, T-Mobile G2, Nexus One and a bunch of older Android devices. Check back in the near future for a full list of banned devices for the above date. This industry should not allow one company use its powerful weapon to stop other innovation and take it all…this is not fair. 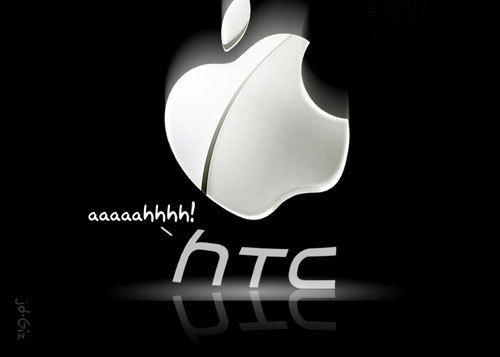 Rumors are already going around that HTC has started a plan to “go around” Apple’s patent violation by modifying their current operating system.